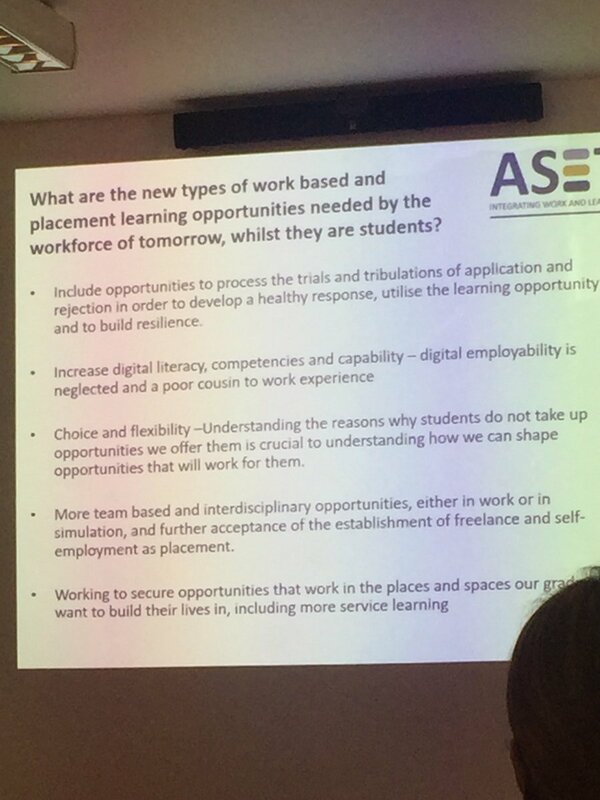 ASET is looking for people with an interest in Work Based and/or Placement Learning and Employability issues, to play a part in the next phase of the development and expansion of the organisation. There are many ways in which you can get involved with ASET; the first step is to ensure that your organisation is a member – you can check this here, and if they’re not, then take a look at the reasons we think they should be, and our information about membership. Get on our mailing list– we send out monthly e-bulletins with articles, notification of events and reports on developments in the field. We also offer advertising of vacancies for employment in the placements field as a free-to-members benefit. Join our LinkedIn group– we have a private group for ASET members only, where there is lively discussion and debate about all things placement. There are also sub-groups within the main page specialising in research and practice, international placements, postgraduate placements and equality. Attend a workshop, come to our conference, or come to an ASET Regional Hub meeting– ASET events are well known for being informative, friendly and enjoyable, so why not take a look at our events calendar and see what you could come along to? Bid for a bursary– we are proud to support a number of student placement bursaries, available only to ASET member institutions, all designed to both further the knowledge base in placement learning and to provide work experience opportunities for students. Consider joining a Working Group– our range of working groups are a great way to get involved with ASET. Groups are task orientated and are a great development opportunity for any practitioner. Want to get involved but not sure about which option is best for you? Just get in touch and we would be happy to talk you through it. If you are interested please contact the ASET Office on 0114 234 5197 or by emailing aset@asetonline.org.